The DROID Bionic is one of the most hyped phones we have seen in the last two years, bringing with it a pretty divided audience who either can’t wait to get their hands on it or are so sick of having to wait and hear about it that they have moved on to other Android pastures. We tend to agree with arguments from both sides, but in this post, we are looking to remain positive on a device that has taken up the majority of the last year. The phone boasts some pretty impressive specs, yet there are still those that remain skeptical as rumors swirl of phones to be released just weeks after it hits store shelves. Could it be too late for the Bionic? We will be finding out in just a couple of weeks. In the mean time, we have put together some thoughts on why we are still, for the most part, excited for this phone to finally arrive. 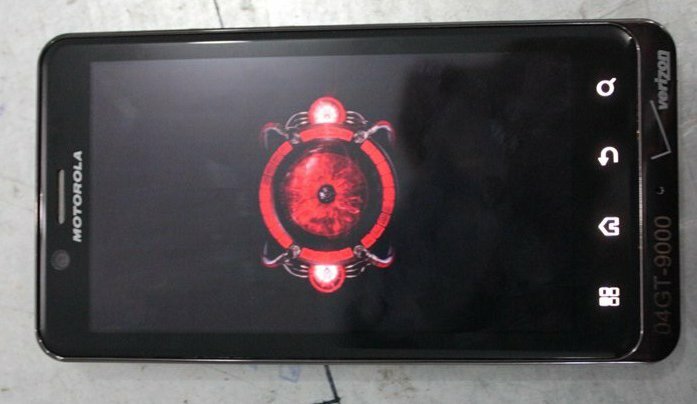 The Bionic will launch as the world’s first 4G LTE dual-core smartphone, something even after 4 months of delays, Motorola should be proud of. There truly is nothing like Verizon’s new network, but to be able to finally pair it with a next-gen processor, has me excited. While you could argue that the OMAP4 that Moto has gone with is not of Samsung’s Exynos processor caliber, it’s still capable of crushing any single-core device in sight. Data speeds and power – two things that we have been waiting and waiting and waiting for – have finally arrived. We have seen a number of Android players land on Verizon this year; some 4G LTE, some not. But what we have not seen, is a real 2011 phone. What I mean by that, is this is the first phone to come equipped with nothing but tech from this year. The Thunderbolt, Charge, Incredible 2 and DROID3 are all solid phones, but each is missing something. The Bionic, while locked and running Blur, is at least pumped up with a dual-core processor, 1GB of RAM and 4G LTE – the 3 specs that many consider “must haves” going forward. While we have no official confirmation that the Bionic will have exceptional battery life, that is certainly what we are hearing from numerous sources. Both Moto reps and our insiders have bragged about the life they are seeing while running on 4G LTE. We all know how badly the Thunderbolt has struggled since day 1 – let us hope the Bionic can change our expectations. Let me be clear on this – the Bionic’s bootloader will be locked at release. It just will be. However, with the dev community finding ways to unlock both the Atrix and Photon 4G, we are at least a little excited at the possibility of them also finding out a way to free this bad boy. There are no guarantees, but the outlook is a heck of a lot brighter than it was for the original DROIDX, DROID2, etc. I may get shot for saying this, but I no longer have a problem with Android skins. “Why?” you ask? Take my Galaxy S II for example. It has TouchWiz, which truthfully, I despise more than Blur, yet this phone is bar far my favorite of all time. And I’ve dealt with it by using ADW, throwing on Widget Locker, an icon theme pack, 3rd party browser, etc. Your phone can have a skin, but that doesn’t mean that skin still has to completely run your phone. So when I get a hold of a Bionic, you can bet that the Blur launcher will disappear within seconds and I’ll be on my way to customizing it to my liking. This is Android folks, we love it because we can make phones all our own. Adding Blur to the list of things wrong with this phone is just silly. Not to completely shift focus, but with the Bionic getting ready to hit stores, we are also ready to welcome in the next batch of LTE beasts. Even if you aren’t excited for this phone, you should be for what is coming next. When the Bionic arrives on September 8, you can mark that date as the count down to the release of what we are expecting to be some incredible devices that sport HD screens, are slimmer than any phone we have ever seen, and will last for days on a single charge. It’s about to get extra spicy around these Android parts. Now, I fully understand that there were a lot of “ifs” in all of that rubbish I just went through, along with a potentially awful 4.3″ PenTile matrix display, but this is the first time this year that I have been jazzed for a Verizon phone. And maybe it is not even this phone that has me all worked up – it could be that it is finally here and we no longer have to talk about rumors for it? Or maybe it really is because this phone marks the beginning of what could be one heck of a holiday season for smartphones. No matter what, we’ll have the Bionic on day 1 and will put it through our variety of tests to decide if this phone has lived up to 9 months of hype. Will we end up being a bust? There is certainly a chance that it will be, but we’ll do our best to find that out for real when we have it in hands, rather than just speculating on it being one.